And just like that it is game time here in the nation’s capital as the New York Yankees made the trip to Washington D.C. to face off with the Washington Nationals. 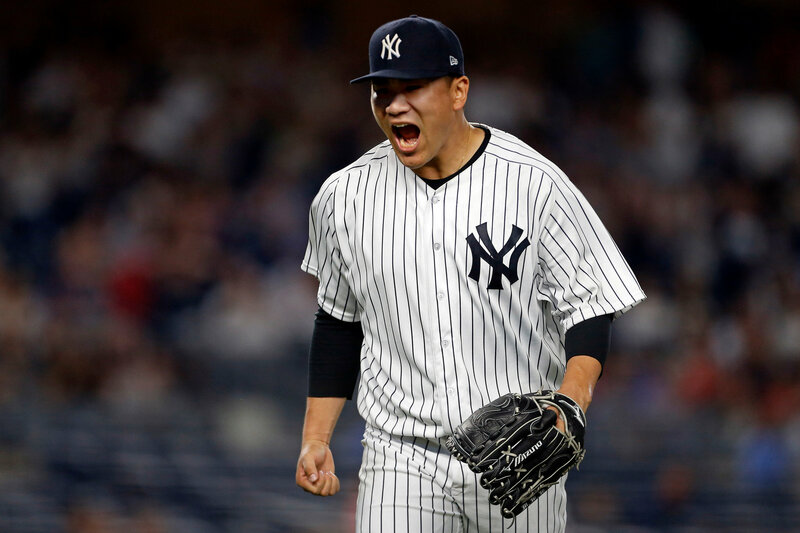 In the opener of their quick two-game set the Yankees will send Masahiro Tanaka to the mound looking to keep the team hot while the Nats will counter with Gio Gonzalez who will look to slow down Giancarlo Stanton, Aaron Judge and company. The game will be played at 7:05 pm ET pm ET inside Nationals Park in Washington, D.C. and can be seen on the YES Network. You can also follow along with the game on MLB TV, with the MLB At-Bat app and by tuning into the Yankees radio broadcast with the legendary duo of John Sterling and Suzyn Waldman on WFAN. Follow us on Twitter, @GreedyStripes, and “Like” us on Facebook, The Greedy Pinstripes, to keep up with us and the team all season long. Enjoy the game, all we do is win, win, win, win, and go Yankees! !